Food Blogga: Last Minute Christmas Gifts for Foodies by Foodies! Last Minute Christmas Gifts for Foodies by Foodies! There are only 10 days left until Christmas. Shocked? I know. Don't let it panic you. I'm here to help. I've got gifts for foodies by foodies. You can never go wrong with cookbooks. These books are extra special because each one is written by a talented blogger, each of whom I have met. So let's spread the love and the cookbooks. 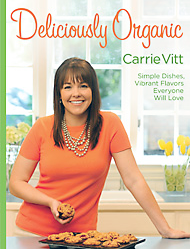 Deliciously Organic by Carrie Vitt. Carrie shows you how to create deliciously organic meals every day. Every recipe features only organic, unprocessed, whole foods and run the gamut from breakfasts to desserts. Why I like it: Vitt's tone is conversational rather than preachy. Best for: Anyone who wants to cook and eat more healthfully. Gluten-Free Girl and The Chef by Shauna James Ahern and Daniel Ahern. Why I like It: It's a cookbook intertwined with a romance story. Best for: Hopelessly romantic, gluten-insensitive women. The Gluten-Free Almond Flour Cookbook by Elana Amersterdam. Why I like it: Elana makes gluten-free baking accessible and enticing. Best for: People with gluten intolerance or sensitivity who crave dishes like pizza, sandwiches, and cakes. The Indian Slow Cooker by Anupy Singla. Anupy demystifies Indian cooking for the average home cook. Why I like it: Anupy says that only a few Indian spices are needed to create a wealth of flavorful, authentic Indian recipes. Good bye Indian recipes that call for 20 ingredients! Best for: The harried mom who wants a healthy, easy Indian meal on the table at night. Make It Slow. Cook It Fast. by Stephanie O'Dea. Stephanie is one of the most bubbly, affable people I have ever met. So much so, that I bought a copy of her cookbook which includes 365 crock pot recipes, and I don't even own a crock pot. Why I like it: It's honest, real, and practical. Best for: The busy mom, one who preferably owns a crock pot. The Reluctant Entertainer by Sandy Coughlin. Why I like it: Sandy tells women that entertaining is less about perfection and more about making memorable, meaningful connections with others. Best for: Women who need some emotional boosting to entertain without fear. The Gourmet Farm Girl Antique Soap Dispenser by Deb Mahon. Why I like it: In case you didn't know, Ball jars are hip again. 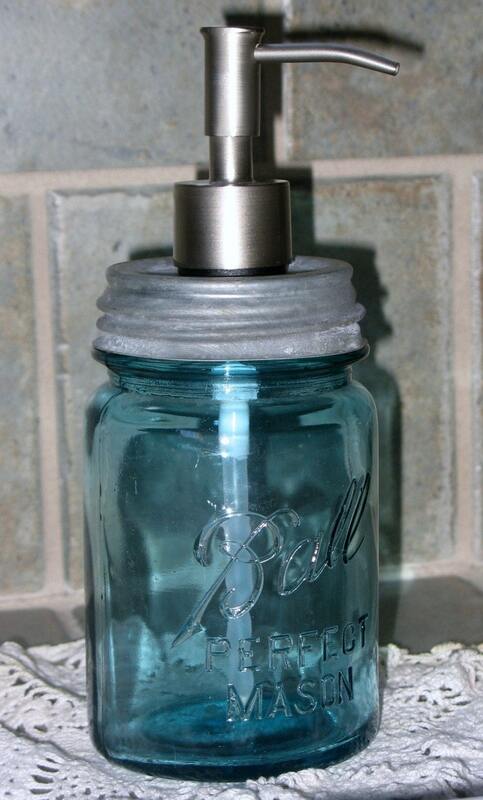 So get this hip soap dispenser for someone with style. Best for: People who like hand-made items and unique pieces. Why I like it: It's 100% pure grass-fed beef that tastes great. Foodie Art by Nicole Docimo such as whimsical prints and organic, reusable tote bags. Sugar Daddy's Brownies from Columbus, Ohio. Why I like it: Their brownies are unabashedly flavorful and so prettily wrapped that you feel guilty opening the package. Plus they're shipped from the oven to your door in 24 hours! Best for: Kids and anyone who wants to feel like a kid again. 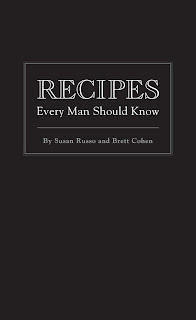 Of course, I think my book, Recipes Every Man Should Know, makes a great Christmas gift. 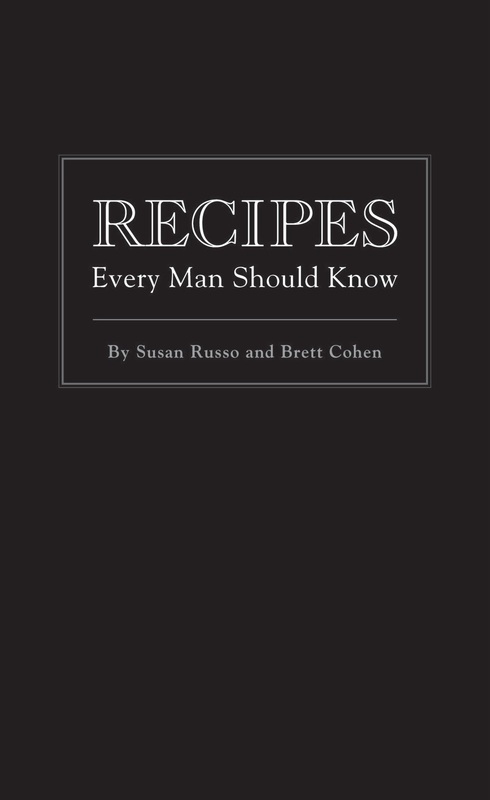 With over 60 easy-to-make, manly recipes for just $9.95, it's the ideal gift for guys in your life. Plus, it fits perfectly into a stocking! Flick photo credit, Welsh Poppy, creative commons. Thank you for the mention! I appreciate it! Merry Christmas! Susan, thank you for your wonderful words. I truly enjoyed meeting you this past October. lots and lots of love, and have an absolutely marvelous 2011! Part III: Food, glorious food!